The Walabot Developer is a programmable 3D sensor inside a protective enclosure that looks into objects using radio frequency technology. 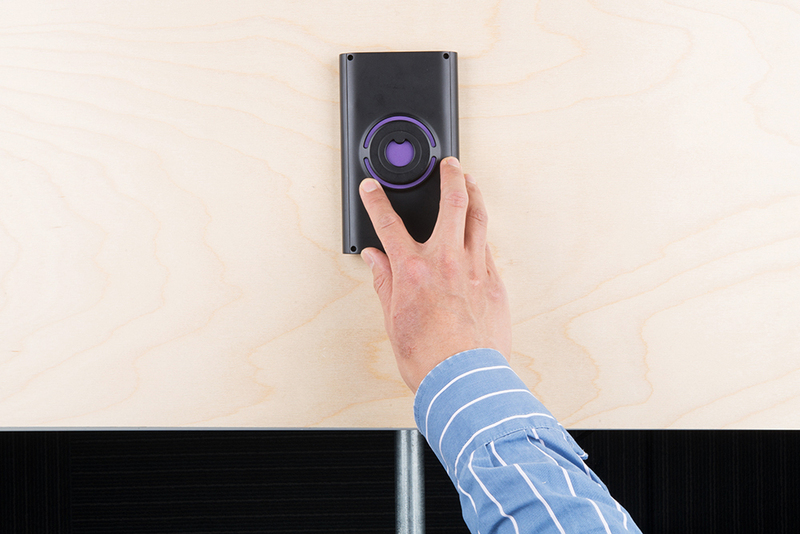 This technology breaks through known barriers, bringing highly sophisticated sensing capabilities to your fingertips. 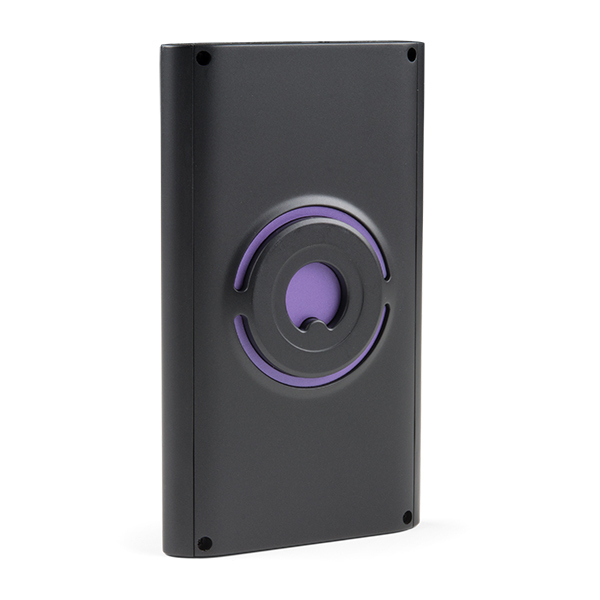 This Walabot Developer version uses an 18-antenna array to illuminate the area in front of it and sense the returning signals. 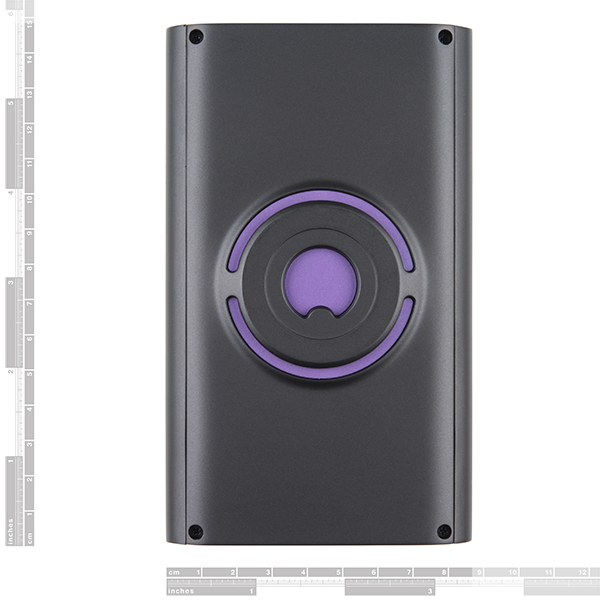 The signals are produced and recorded by a VYYR2401 A3 System-on-Chip integrated circuit. 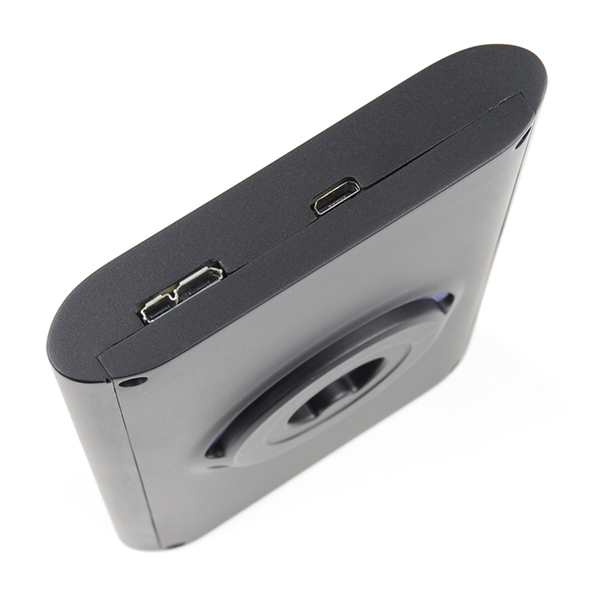 They are then communicated to a host device (like your phone or computer) using a USB interface, which is implemented using a Cypress controller. 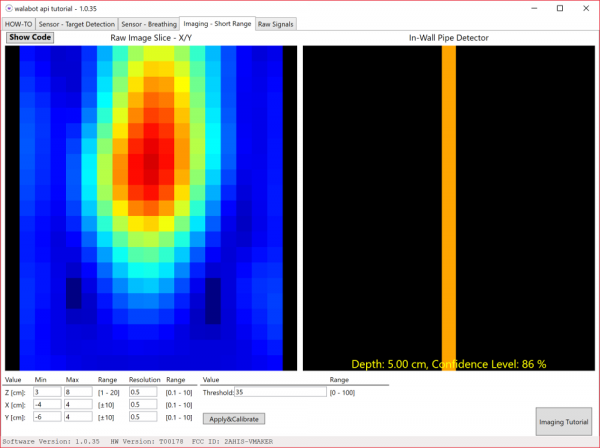 Through broadband recordings from multiple transmit-receive antenna pairs, the Walabot Developer is able to analyze and reconstruct a three-dimensional image of the environment. Analysis of sequences of images allows detecting changes in the environment. 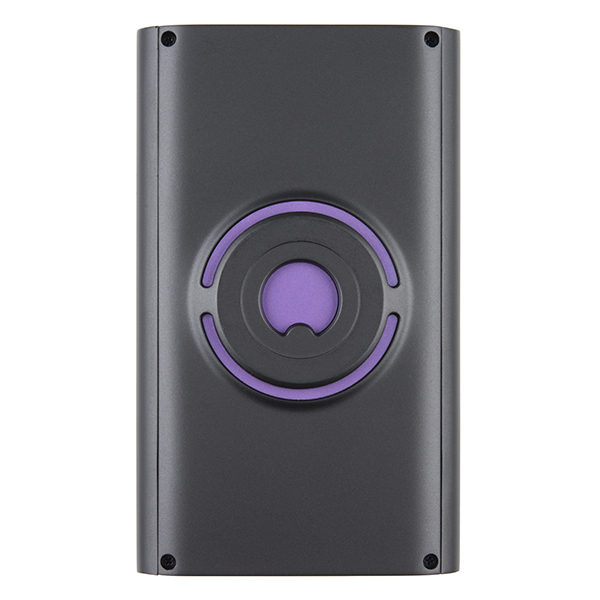 Each Developer version is capable of short-range imaging into dielectric environments such as drywall and concrete, as well as target and breathing pattern detection. 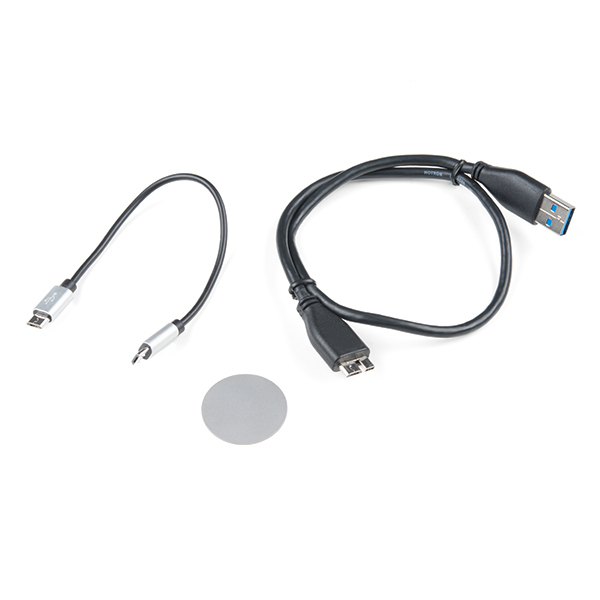 Each includes a micro-B 3.0 to USB cable and a micro-B to micro-B USB cable. What kind of an image do you get if you use it like a studfinder on a wall? Those are a few basic examples to get started. You would need to adjust the code for your application. Eventually, you could develop a project similar to the Android app to see the orientation of the material behind a wall similar to the SDK for Windows, map an image, and determine the dielectric properties of the material (like metal, plastic, or wood) => https://youtu.be/p3gDX75a_b4 . 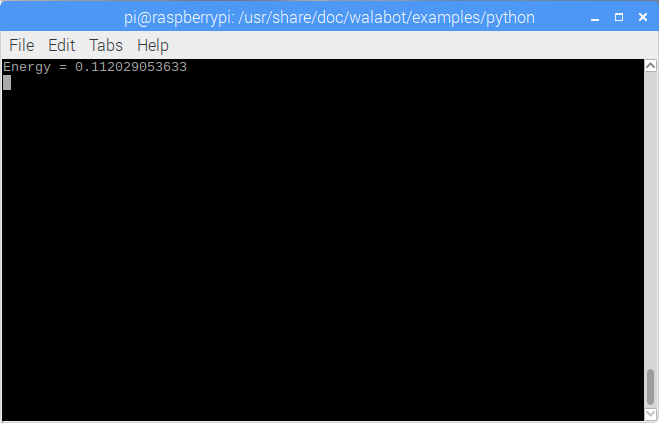 I have not tested the Walabot Developer's app for Android.